The cinematographer’s broad and innovative vision for episodic storytelling earns him the ASC Career Achievement in Television Award. Images courtesy of Alan Caso, ASC. 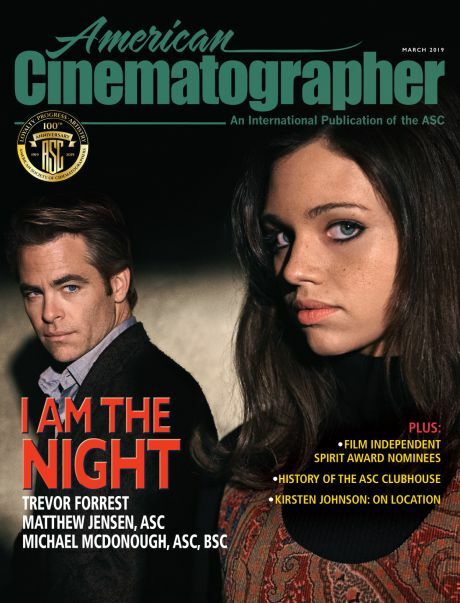 When Caso was approached by Ball, the cinematographer had just finished his latest project with frequent collaborator John Frankenheimer, the critically acclaimed feature Reindeer Games. Indeed, Caso has accumulated a long and diverse résumé that includes work for television screens and movie theaters alike, and it’s for that work — particularly his influence on the evolution of TV imagery — as well as his advocacy for the next generation of filmmakers, that the accomplished cinematographer has been chosen to receive this year’s ASC Career Achievement in Television Award. Caso and his Six feet Under crew. Caso confers with Six Feet Under series creator Alan Ball. Caso was born in Marblehead, Mass., and grew up in the small nearby town of Topsfield. It was his father, a former U.S. Air Force photographer and professional lithographer, who taught the young Caso to draw and paint, and instilled in him the basics of light, composition and color. Caso attended Massachusetts College of Art — his father’s alma mater — beginning his studies as a painting major. But a filmmaking class in his sophomore year transformed his life — “so much so that I was even pulling A’s in my required core courses of language, science and math,” he recalls. He transferred to the University of Massachusetts Amherst and majored in communication with a concentration in film. Determined to become a cinematographer in narrative film — and finding that production on the East Coast emphasized documentaries and commercials — Caso hitchhiked across the continent to Los Angeles. There, after securing a low-paying job at a graphic-design studio, he built his own darkroom, with third-hand equipment, in the closet of his $80-a-month studio apartment. Using a Speed Graphic 8x10 with a Polaroid back, and a Rolleiflex 2.8, “I would scoot around Hollywood, shooting interesting characters and places on the streets and in alleys,” he says. 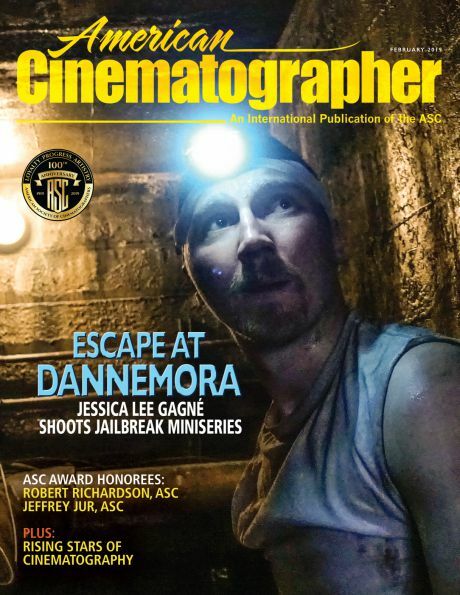 While taking odd jobs as a freelance photographer in addition to working his regular day job, Caso kept his eye on his ultimate goal of becoming a cinematographer by volunteering to crew on weekend shoots for the American Film Institute Conservatory. It was there that he connected with AFI Fellows Steve Posey and Jacques Haitkin. Caso spent several years pestering the two pros and others to let him work for low or no money on non-union low-budget movies so that he could garner experience. “I wanted to know how the set worked, learn the language and the nomenclature, and find out what all the equipment was and how it could be used,” he recalls. Caso with one of the feline co-stars of Roar (1977). The aspiring cinematographer’s eagerness to learn the craft did not go unnoticed by his seasoned colleagues — but Caso owes his most decisive career break to a lion who ripped the scalp off a cinematographer. When he accepted Posey’s invitation to come aboard an unnamed shoot deep in Soledad Canyon, about 50 miles northwest of L.A., as a B-camera 2nd AC, Caso had no idea he was about to join a production that would go down in film history as the most dangerous movie ever made. Roar, a story about a zoologist whose family comes to visit him in Africa, was a production conceived by actress Tippi Hedren and her then-husband, Exorcist producer Noel Marshall. The location was their ranch-turned-big-cat-preserve, where they shot along and amid untrained cats and an elephant named Timbo. Directed by Marshall — and starring himself; Hedren; her daughter, Melanie Griffith; and Marshall’s sons John and Jerry — Roar became infamous for its soaring cost, the 11 years it apparently took to complete, and the reported injuries of some 70 members of the cast and crew, including its stars. Wounds included bites, maulings, bone fractures and gangrene. Over the next four years, de Bont and Caso remained on for the duration of the picture, while other crewmembers wisely walked away from the chaos. But Caso’s youthful and arguably misguided courage was indeed rewarded. He rose from assisting on the A camera, to operating third camera, to being de Bont’s main operator. The movie also introduced Caso to the Panaglide — which in turn led him to the Steadicam — and got him into the union. After the movie finally wrapped, though, Caso found that getting union work was very slow for someone unknown and unconnected. He therefore decided to stay busy by picking up work as a gaffer on non-union projects, which gave him welcome experience working with lighting equipment, and helped him begin to develop a philosophy of light and space. He even got a chance to work with Orson Welles on the unfinished Orson Welles’ Magic Show. On location in Puerto Rico, here’s Caso with actor Amy Irving, working as a Steadicam operator on the feature A Show of Force (1990), directed by Bruno Barreto and photographed by James Glennon, ASC. Caso’s Steadicam skills eventually began opening doors for him; at the time, he was one of only a few A-camera operators who could also operate Steadicam. Eventually, he landed his first union job at Paramount, doing reshoots for Laverne & Shirley. From there he started to build a reputation as a talented, popular and resourceful operator who was always grateful for the chances and opportunities presented to him. 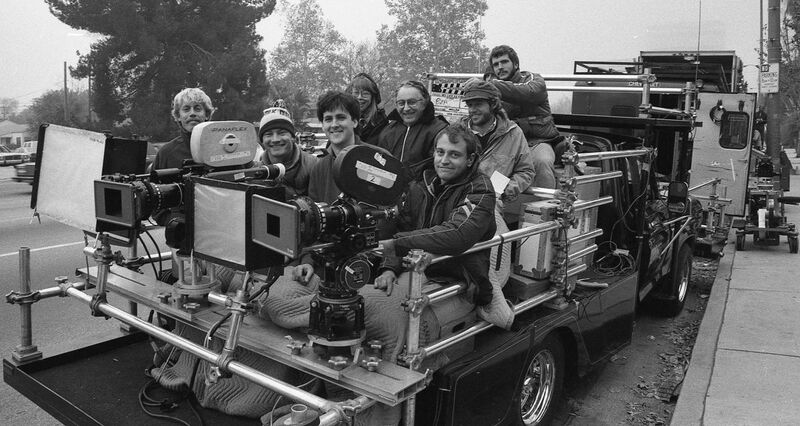 Throughout the ’80s, Caso had a chance to work with many cinematographers he admired, including Alan Hume, BSC; Ernest Day, BSC; Chris Menges, ASC, BSC; Peter McDonald, BSC; and Tony Richmond, ASC, BSC — absorbing styles, tips and working methods from each. At the end of 1987, Caso’s strong handheld work on the feature Runaway Train resulted in an offer to join the CBS series Tour of Duty. The series eventually provided Caso’s first credits as a director of photography when he was given the opportunity to shoot the last three episodes of the second season. Then, during the summer hiatus between seasons, Caso shot his first feature, 84 Charlie MoPic, writer-director Patrick S. Duncan’s critically acclaimed Vietnam story. Caso in full gear while shooting 84 Charlie MoPic (1989). In 1998, Caso won the ASC Award for Outstanding Achievement on a Miniseries for the John Frankenheimer-directed four-hour miniseries George Wallace. The footage for the visually dynamic drama — a production that earned actor Gary Sinise an Emmy for his portrayal of the title character, and landed Caso an Emmy nomination — had to blend with archival film and TV news footage, some of which Caso was tasked with helping to re-create. On location in Montana, Caso on the set of the western miniseries Son of Morning Star (1990). It was shortly thereafter that the decisive moment in Caso’s career as a cinematographer materialized with the aforementioned Six Feet Under. 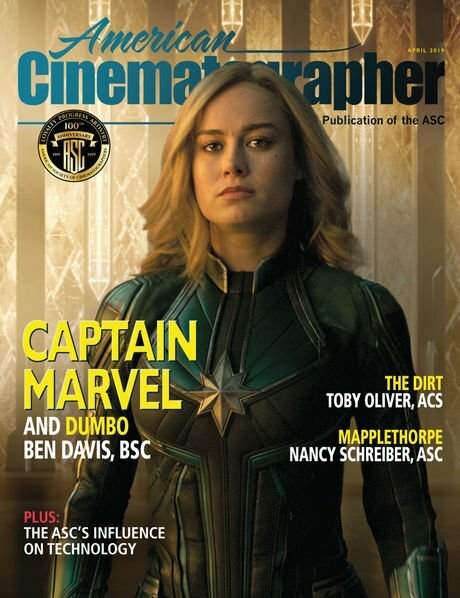 Commenting on his choice of Caso to serve as the series’ director of photography, Ball told AC at the time, “I wanted somebody who would collaborate with me, not bully me. I didn’t go to film school and I didn’t know anything about lighting or camera angles, but I wanted to use them in a way that was organic and that supported what was going on in the characters’ lives.” Crediting the work of Orson Welles and Gregg Toland, ASC on Citizen Kane for inspiring his wide-angle, deep-focus approach to the show, Caso earned two more Emmy nominations for his work on Six Feet Under. Caso lines up his next shot while filming the miniseries Frankenstein (2004) on location. Always seeking new projects to broaden his skills and experiences, Caso took on the two-part television movie Frankenstein during a season break on Six Feet Under. The project offered the opportunity to shoot a gothic period horror piece in remarkable locations in Slovakia and Norway. The style he designed for the project involved narrow depth of field, long lenses and atmosphere. It earned him his second ASC nomination. He went on to shoot three of the six movies for executive producer Steven Spielberg’s Into the West, receiving another ASC and Emmy nomination for his work. Based in large part on that project, Caso was then hired to shoot director Simon Wincer’s six-hour Western miniseries Comanche Moon, a chapter in the Lonesome Dove saga. Caso working on location in Spain for the series Still Star-Crossed. From right, Alan Caso, ASC and director Peter Winther examine the script with executive producer Dean Devlin on location in Mexico City for The Librarian: Quest for the Spear (2004). Caso operating while shooting rapids on location in Mexico. With his focus on his family, Caso instructed his agents to look out for a job that wouldn’t take him too far away from Los Angeles and that would hopefully last for a while, so he could provide some type of stability for his children. It was a tall order in an industry known for its nomadic conditions, but his agents responded with the updated Hawaii Five-0, which Caso worked on for four seasons, and which afforded him the chance to be present for his son’s and daughter’s important high-school events. Here’s Caso (center) in Thailand on the miniseries Blackbeard (2006), directed by Kevin Connor. Caso’s other recent credits include episodes of the series Satisfaction, American Gothic and Still Star-Crossed, as well as the pilots for The Americans and Reverie. At press time, the cinematographer was at work on the upcoming ABC series For the People. Beyond his work behind the camera, Caso has offered his time and energy to numerous projects for both the Academy of Television Arts & Sciences and the ASC. For the Society, he was a member of the Digital Intermediate Subcommittee during a time when the industry was working out the many intricacies of the nascent DI process and planning for its future. He was an executive committee member for the Cinematography Peer Group at the Television Academy from 2000-’02, and he served as a Television Academy Governor for two consecutive terms, from 2002-’06. He has also hosted interns for the Television Academy’s Internship Program on the series Journeyman, Trauma and, most recently, For the People. But he also concedes that the opportunities he’s had have not just been the result of hard work and diligence. “In recent years I have become more aware of the struggle women and people of color have in breaking into this industry — an industry that has been, for the most part, historically run and occupied by white men,” Caso observes. “And I’m saying this as a white man, one who deeply regrets not waking up to this fact sooner. I am trying my hardest to remedy this in the remaining years of my career. It is for us to acknowledge the problem, and for us privileged white men to enact the needed change. I applaud any measures taken to level the playing field. Caso will receive the ASC Career Achievement in Television Award on February 17 during the 32nd annual ASC Awards for Outstanding Achievement in Cinematography. UPDATE: Watch Caso's complete ASC Awards presentation video here.